Often financial institutions such as banks and NBFCs are stringent about eligibility criteria when it comes to personal loan. Most common criterion is the age limit, which is sometimes limited to just up to 60 years of age. However, financial emergency and need can arise even at an old-age, and this is why many banks and NBFCs today offer specialized personal loans for pensioners in India. We will tell you everything about the best pension loans, which you can get sanctioned for self and your elders. What is the Pension Loan Eligibility? Centre and state government retired employees are offered pension loan by the bank they are drawing pension from. Family pension is also an option for those who have been awarded pension as a consequence to the death of their spouse. The pensioners can repay the personal loan through EMIs for an overall period of 24 to 60 months, depending on age, amount and bank’s policies. Interest rate depends on the bank rate and MCLR, but generally pension loans have lower rate of interest than other personal loans. Pension loans rarely need any collateral security. In most of the cases, a guarantee from spouse or even a third party is acceptable to the bank. This is due to the reason that pension loans are generally secured as pension is a permanent source of income and amount can be recovered easily. Spouse is entitled for the family pension which makes the loan secured against death also, as the loan amount can be recovered from the family pension also. For pensioner drawing pension from SBI branches, a personal loan is offered by the bank for the retired employees of state as well as centre government. The scheme is valid for pensioners till the age of 76. Family pension is also an option to the customers. Processing fee is very nominal and is nil in the case of defense personnel. The pensioners should not be more than 76 years of age. The pensioners whose pension is disbursed through cheque by the government treasuries drawn in the favor of SBI are also eligible under this scheme. In this case, the original PPO (Pension Payment Order) remains with the treasury. Additionally, the pensioner needs to give a mandate to the treasury for payment of his/ her pension in the same branch of the bank in future from where the loan is being applied. Also, the pensioner needs to furnish an irrevocable undertaking, stating that he/ she will not amend the mandate in future. The treasury in return has to ratify that no request from the pensioner regarding the same will be entertained by them till a No Objection Certificate (NOC) is obtained from the concerned branch. All other general terms and conditions of the pension loan are applicable to these loans like guarantee clause. For age up to 72 years, repayment period is 60 months. For age between 72 years and 74 years, period of repayment is 48 months. For age more than 74 and below 76, repayment needs to be done in 24 months. Pensioner of armed forces i.e. Air Force, Navy and Army along with paramilitary forces like coast guards, CISF, Assam rifles, CRPF, ITBP, Rashtriya Rifles and BSF are eligible, whose PPO is with SBI, are eligible for loan under this scheme. For age up to 56 years, repayment period is 84 months. For age between 56 years and 72 years, period of repayment is 60 months. Family pensioner is actually the spouse of the main pensioner who is entitled to receive the pension after the death of pensioner. 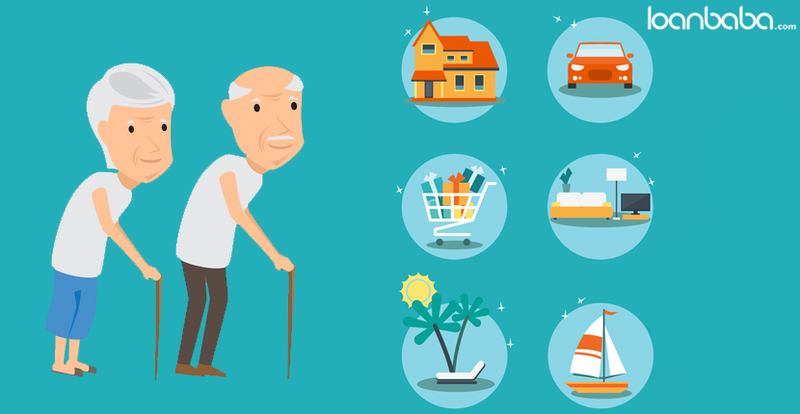 For loaning purpose, the family pensioner cannot to be more than 76 years of age. The minimum amount of loan is Rs. 25,000. The maximum finance which can be done under this scheme is 18 times the monthly pension of the applicant with a ceiling of 5 lakh till the age of 72 years, 4.5 lakh till the age of 74 years and 2.5 lakh till the age of 76 years. Repayment mode: The bank takes standing instructions to debit your pension account automatically and credit the pension loan account on EMI basis. Prepayment charges: The prepaid amount- full or partial is subject to levy of charges at 3% on the amount prepaid. These charges are waived off if the loan is closed as a consequence of opening of a new loan. All the pensioners (including family pensioners) who are drawing pension at any branch of the Central Bank of India are eligible for the loan. The pensioners who get their salary through the government treasuries are also eligible for the loan. An amount equal to 18 times the monthly pension can be sanctioned to pensioners with age below 75 years, subject to the maximum of Rs. 5 lakh. For age above 75 years, the maximum amount that can be sanctioned is decreased to 12 times the monthly pension if the pensioner with a maximum of Rs. 2 lakh. The bank lends to every pensioner who is drawing pension from any PNB branch. 10 lakh up to the age of 70 years. 7.5 lakh for age between 70 years and 75 years. 5 lakh for age more than 75 years. Guarantee: Generally, the spouse is taken as guarantor. In case there is no spouse, any child can be the guarantor. Government employees are preferred for this. In absence of either of the two stated above, a guarantee by third party is also acceptable to the bank. Repayment: The loan needs to be repaid in maximum 60 EMIs. All state and centre government pensioners are eligible under this scheme whose pension is credited in any branch of Allahabad Bank. The age of the pensioner must be below 73 years and loan needs to be repaid till the age of 75. Processing fees of the loan is zero. 2 lakh till the age of 65 years. 1 lakh above the age of 65 years. The repayment period of loan is maximum 48 months. Pension loan is offered by Bank of India to all the pensioners who are drawing salary from any branch of the bank. The maximum age of the finance is 75 years. If your file including PPO is held by the bank then a loan amount equal to 15 times net monthly pension can be sanctioned to you, with a maximum of 5 lakh. In case you receive pension in your BOI account and your PPO is held by DPDO or treasury then you are eligible for a loan amount equal to 15 times but with a maximum of Rs. 3 lakh for normal cases and Rs. 1.5 lakh for family pensions. If you are above 75 years of age, the maximum amount that can be financed is Rs. 1 lakh or 3 times net monthly pension. If you are looking for pension loan or personal loan for pensioners in India, you can check out the above mentioned banks and schemes. For more offers and personal loan plans at best interest rate, you can compare banks and NBFCs offers at our website. Why to Resolve Past Due Debt Before Taking a Personal Loan? Next story UPI or Mobile Wallets- Which One You Should Use and Why? Previous story How to Meet Your Financial Goals by Investing in Mutual Funds?